Searching and finding public domain sheet music online can be time consuming and frustrating. To make it easier for you, here I have selected the top 3 resources available online. Music released in the public domain is free and legal to use and an easy way to get printable music to play. Here are some of the best sites with sheet music that you can download and print immediately. These are top quality websites that provide free public domain sheet music for everyone! All of the music on Mutopia may be freely downloaded, printed, copied, distributed, modified, performed and recorded. I love that the layout of the music is crisp and clean to read. The sheet music is provided as PDF files for easy printing. Audio of the music are available as MIDI files to get an idea of how the music sounds like. 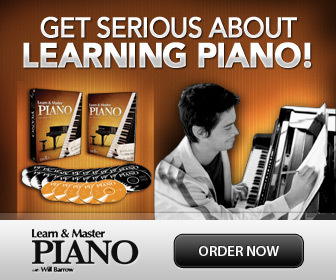 Here is a direct link to the piano section. I find that he easiest way is to use the search bar to find music I'm looking for. Direct link to the piano section here. Make sure to check out the sorting option on top of the page for easier access to what you're looking for. “Musopen (www.musopen.org) is a 501(c)(3) non-profit focused on improving access and exposure to music by creating free resources and educational materials. I really love the design and ease of use of their website. The piano pieces also have a nice description, clean preview and the option not only to quickly download the sheet music, but an audio file with a pianist recording- for free. Here is a direct link to their piano music.